In the past, the NRA has exerted pressure on lawmakers, critics, and even gun manufacturers through political lobbying. But now, Generation Z and their parents have touched a nerve. The NRA put out a video ad ridiculing anyone who wasn’t supportive of their agenda. The result? The brandshaming of the NRA and its partners. As the NRA is increasingly viewed as a dangerous brand, businesses are taking measures that defy the NRA and are more strict on gun sales than federal or state laws. And, as companies distance themselves from the polarizing effects of the NRA, some politicians have attempted to punish them for their behavior. The $50 million sales tax exemption on jet fuel that was sought by Delta, one of Georgia’s biggest employers, had been included in a broader tax-relief bill. But this week, a number of Georgia Republicans, including Lt. Gov. Casey Cagle, sought to remove the perk as retribution for Delta’s decision to end a promotional discount for members of the National Rifle Association. 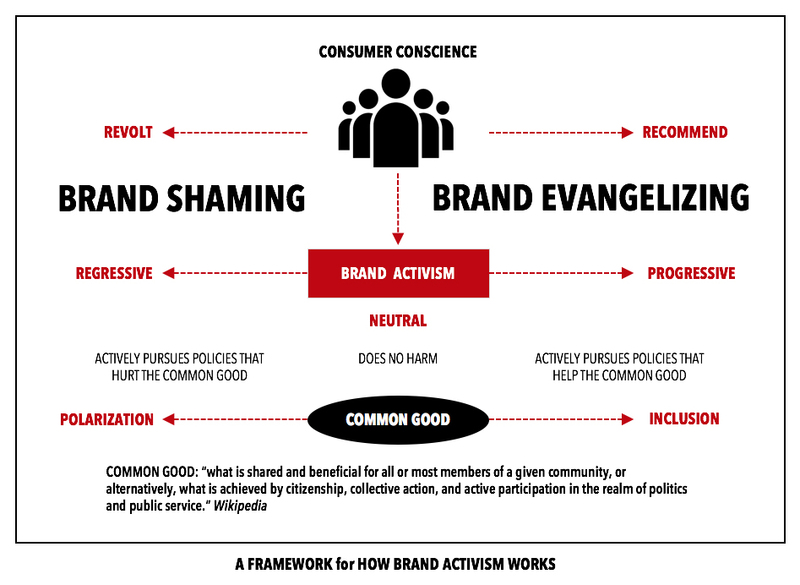 As we’ve mentioned earlier, brand activism is a new imperative for business because, now, more than ever, customers demand that companies “do the right thing.” And as the Parkland students have shown us, Generation Z may be even more conscious than the Millennials. 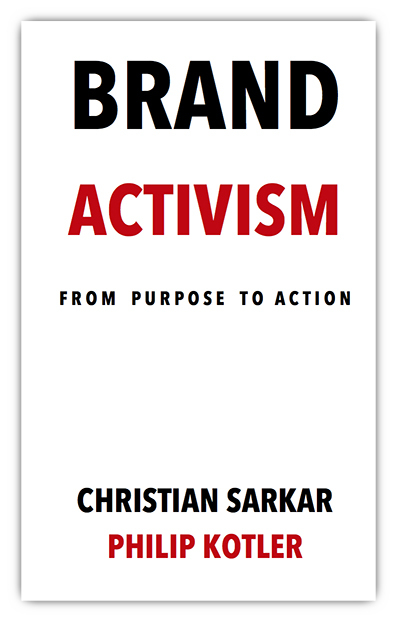 Companies and organizations that lobby our politicians for regressive policies are brand activists. They pursue policies that hurt the public good. This in turn leads to outrage and outright revolt amongst the public, consumers, and even some of their customers. As we mentioned previously, the poster-child for regressive activism was Big Tobacco – the tobacco companies that for so many years denied the harm their products did to consumers, even when their own research revealed otherwise. They promoted the “virtues” of smoking in a way that actually hurt consumers. Now, it seems, the NRA is the new face of regressive brand activism. When did the NRA lose sight of its public responsibilities? Historically, one can argue that up until 1977 the NRA often supported gun-control legislation. Today the NRA is fighting our kids – whose very lives the NRA has placed in danger. The kids, meanwhile, are taking to the streets. March for Our Lives, a national event, is planned for March 24. Stay tuned. At last count, Emma Gonzalez had more Twitter followers than the NRA.